Sometimes you might want to include an addendum, price sheet, or other attachment to your proposal. We totally get that. Bidsketch proposals are designed to keep your client's attention on your proposal as much as possible, so attachments aren't supported in the traditional sense. However, you can include live links anywhere in the body of your proposal. This is a great way to include an attachment via Google Drive. 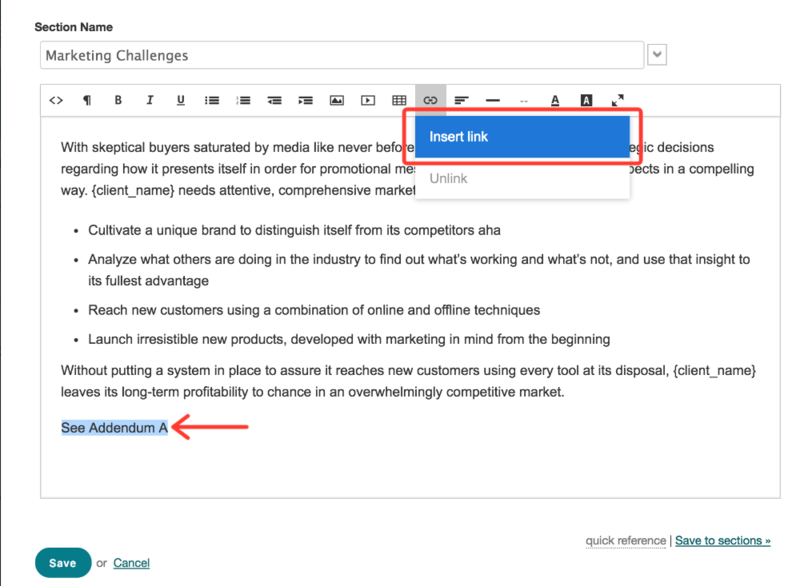 Just upload your document to Drive, grab the link, and insert that link right into the content of your proposal using the link tool in your toolbar. This way your client is sure to see it as they're reading your proposal.